Butch Hogan is a disabled 10 year veteran of the US Army (1985-1995) serving during the first Gulf War, his duty stations while in the Army were at Ft. Dix New Jersey, Grand Island Nebraska, Red Stone Arsenal Alabama, Friedberg Germany, Ft. Hood Texas with the 1st Cavalry, Ft. Sam Houston, and Ft. Lewis Washington with the 7th Infantry Division, 9th Infantry regiment. Butch grew up in a very patriotic family, where service to country and community was not just important, but a way of life. Several of Butch's cousins have served in the Army, Marine Corps, Air Force and Navy, as well as his father and uncles in law enforcement and fire services. Butch's grandfather served in the Army Air Corps during WWII. Butch's brother Shane served in the Army with him and shared duty stations in Grand Island Nebraska, Germany and Ft. Hood Texas as well as being part of both the first and second Gulf Wars. Butch's Cousin, Steve who served in the United States Marine Corps recently lost his only son, Hunter H.D. Hogan, who was also a Marine. Hunter was Killed In Action in Afghanistan on June 23rd, 2012. In H.D's honor we have started a 100% FREE shipping to all PNOK of KIA members in our system. Butch's only son, James, is currently serving as a Staff Sergeant in the U.S. Air Force, having served in CONUS, Afghanistan, Korea, and Japan. James joined the Vet Tix team during the spring of 2009 as a volunteer and still volunteers today. 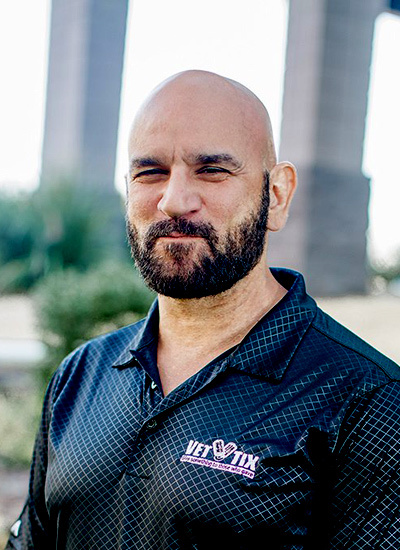 Butch is currently a business owner (1995-present), with his company providing custom-built online applications for clients, as well as web hosting and design services.